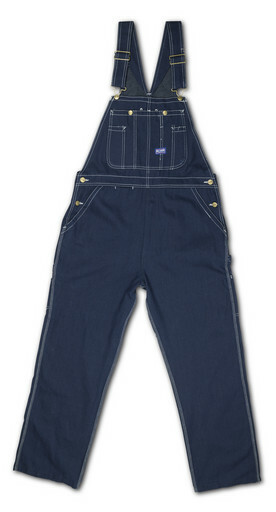 94009DB9 Rigid Denim Bib Overall by BIG SMITH - Big Smith - Rigid Indigo Denim - Free Shipping Workwear - 94009DB9 BIG SMITH Rigid Blue Denim Bib Overalls. BIG SMITH Blue Denim Bib Overalls. Big Smith Bib Overalls shipped Factory Warehouse direct from Fort Worth, Texas! For 100 years, Big Smith® has given the working man Rugged, yet Comfortable, long wearing Bib Overalls in which to earn a living! Designed to provide a Comfortable Fit all day long and provide a first layer of protection from the hard knocks and dings encountered at work. So, if you are looking for Reliable Bib Overalls and comfort, too....you need Big Smith® Bib Overalls! Big Smith® Bibs are Durable and ready for work with All Day Comfort. With Tons of Pockets, these bibs are Extremely Functional and built for you in mind. Special Note: This notation behind a size "Auto-Back-Order Paid - TOTAL Order Shipping Estimate (month)" indicates that size is currently out-of-stock and gives the estimated replenishment date. Orders received with these sizes will be handled in this manner: the entire paid order will be put on Back Order until these sizes are replenished and then shipped; your order will be one of the first shipped after the replenishment date; if the factory warehouse extends the replenishment date we will notify you via e-mail. If you need other garments on your order quicker, please place a second order without auto-back-order sizes.